NASA’s managers are in the processing selecting the agency's next planetary mission from a field of twelve competitors. This fourth mission in the New Frontiers program will follow in the footsteps of the three missions in this program that have already launched: The New Horizons Pluto spacecraft, the Juno Jupiter orbiter, and the OSIRIS-REx asteroid sample return mission. New Frontiers missions are a key component of NASA's program to explore the solar system. Like Goldilocks's bears, NASA's planetary missions come in three sizes. At the low end, costing $600-700 million, are the more frequent Discovery missions that address tightly-focused questions on (for planetary exploration) tight budgets. NASA plans to fly several Discovery missions in the coming decade. At the high end, typically costing greater than $2 billion, are the Flagship missions that host a wide range of instruments for in-depth studies. NASA typically flies just one Flagship mission a decade, although the next decade will see two launches, the Mars 2020 rover and the Europa Clipper. However, there are a range of studies that the scientific community deems essential to understanding the solar system that can't fit within the Discovery program, but don't require a Flagship mission. This is the role of the New Frontiers program with missions costing somewhere around $1 billion with a planned flight rate of two per decade. The list of possible missions for the New Frontiers program are pre-selected by a panel of scientists once a decade in a process that sets exploration priorities known as the Decadal Survey. For this current competition, NASA’s managers added two additional targets, Saturn’s moons Enceladus and Titan. 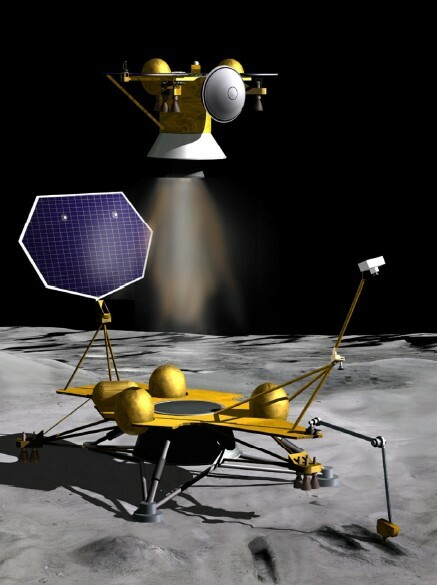 The New Frontiers missions that have been publicly described include proposals that emphasize composition measurements to address the formation and evolution of the solar system (the CONDOR and CORSAIR comet sample return and the SPRITE Saturn probe proposals) or the formation and evolution of terrestrial worlds (the VISAGE and VICI Venus atmospheric probe-landers and the lunar Moonrise sample return proposals). The ELF Enceladus mission, the Titan Oceanus orbiter, and the Titan Dragonfly rotocraft would explore their target worlds for habitability and signs of life. The latter two missions also would continue the broader exploration of Titan. The selection of any of these missions would significantly advance planetary science. NASA will choose among them based on two criteria: Would the proposed mission likely meet its scientific goals? How feasible is the mission technically within the budget cap of $850 million for the spacecraft, instruments, and mission operations? (Additional costs such as launch would raise the final cost to around $1 billion.) The review process is thorough and daunting; any weaknesses on either criterion can disqualify a proposal or cause it to be ranked poorly compared to its competitors. NASA expects to select two to three of these proposed missions this fall for further definition and review. The winning mission will be chosen from this short list by mid-2019 for launch no later than 2025. Travel time to the selected destination could be as short as a few days or as long as twelve years. Dates for key events in the proposed New Frontiers missions. *Proposing teams have not given dates for the Moonrise and Dragonfly Titan missions. Dates shown are my best estimates based on the requirement to launch by the end of 2025 and flight times to reach destinations. To meet the goals of this mission, a spacecraft would need to conduct two sets of measurements. First, it would make detailed measurements of the atmosphere’s composition during its descent to and on the surface. The mixture of gases in a planet’s atmosphere, especially the ratios of isotopes of key elements, provides both a fossil record of that world’s formation and evolution and insights into current processes such as surface weathering and volcanic activity. Once on the surface, the craft would measure the composition of the rocks and soils to allow scientists to reconstruct the processes that initially formed that location and subsequently modified it. Soviet and American probes in the 1970s and 1980s performed both sets of measurements, but the then available technology lacked the precision to answer key questions. The two proposed New Frontiers missions would each carry the latest generation of instruments that would provide far more detailed measurements than their predecessors. Once on the surface, a drill on the VISAGE lander would retrieve soil samples from “two depths” and deliver them inside the spacecraft. There, one or more instruments could operate at moderate temperatures to make detailed elemental and mineralogical composition measurements. (The X-ray fluorescence instrument would almost certainly be entirely inside the craft’s pressure vessel. The mission’s visible and near-infrared spectrometer likely also would view the samples inside the craft, but might also examine composition outside the craft through a window.) Cameras to image the surface during the descent and take panoramas after landing would round out the instrument package. Because of the extreme temperatures on the surface, the craft would survive to make measurements for only several hours. The Venus In situ Composition Investigations (VICI) mission led by Lori Glaze of NASA’s Goddard Spaceflight Center would address the same overalls goals but with a different emphasis. While the VISAGE mission would accept the complexity of a drill and air lock to bring samples inside the craft for improved soil measurements, the VICI mission would carry a second instrument (a tunable laser spectrometer) in addition to the mass spectrometer for improved atmospheric composition measurements. Tunable laser spectrometers complement mass spectrometers by being able to precisely measure specific isotope ratios and the abundance of key gases such as water, carbon dioxide, and sulfur dioxide. On the surface, another instrument uses Raman and laser-induced breakdown spectroscopy to study the composition of the rocks and soil. This instrument would fire laser pulses through a window to measure composition at multiple locations near the craft. At lower power but higher wavelength, the laser enables Raman spectroscopy for mineralogical measurements, and at higher power but a lower wavelength the laser melts a tiny portion of the soil or rock for elemental measurements. No spacecraft could hope to carry instruments that can match the capabilities of the best instruments on Earth. As a result, sample return is often viewed as the ultimate goal of planetary science after the missions of exploration have told us enough about a world or class of worlds to ask detailed, targeted questions. In addition to the lunar and comet sample return missions proposed for this New Frontiers completion, there have been three missions launched to return samples from asteroids, Japan plans to return samples from the Martian moon Phobos, and both the United States and China are working toward returning samples from Mars. In the case of the moon, we have samples from a number of locations from the American Apollo and Soviet unmanned missions. However, answering many of the specific questions that remain about the moon require samples from carefully selected new locations. This is driving the Chinese lunar sample return mission planned for the next year and the proposed Moonrise New Frontiers mission. The Moonrise lander would touch down within the basin. Its robotic arm then would sieve the surface to collect thousands of tiny (3-20 millimeters) rock fragments because those are what are needed to determine ages and to identify deep-seated materials excavated by the impact. A small bulk sample of the regolith would also be collected. Each of these rock fragments carries the story of its creation in its composition. 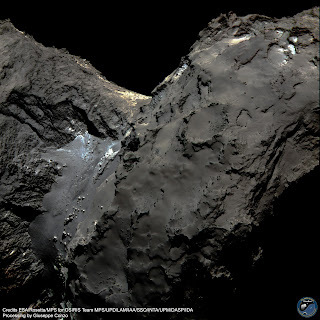 The proposed COmet Nucleus Dust and Organics Return (CONDOR) mission would collect up to two samples of material from the surface of comet 67P/Churyumov-Gerasimenko, each of which would represent at least 50 grams in mass. The samples would be collected during brief and gentle touch-and-grabs that would cause little or no modification to the comet material. To get material that would be as least altered as possible by the sun’s heat, the samples would include material from up to 15 centimeters below the surface. After collection, the samples would be maintained at less than -20 degrees Celsius during the return trip and refrigerated at -80 degrees Celsius at NASA’s curation facility to prevent alteration of the samples. For materials such as hydrogen cyanide and carbon dioxide that would sublimate at these temperatures, the sample container will trap the gases from these ices for study on Earth. Many of you likely recognize that the target comet for this mission, P67, is the same one examined in depth by the Rosetta mission. By returning to this richly-studied comet, scientists will be able to understand the samples acquired within the context of the entire body. 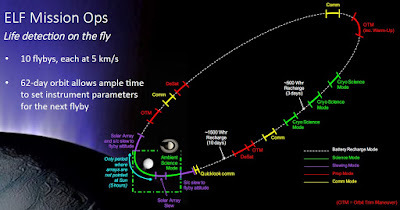 The CONDOR spacecraft also will use its camera and measurements of the gravity field to study how P67 has changed during its passes through the inner solar system since the end of the Rosetta mission. A second comet mission, the COmet Rendezvous, Sample Acquisition, Investigation, and Return (CORSAIR) mission would sample a comet, 88P/Howell, that has never been visited by a spacecraft. 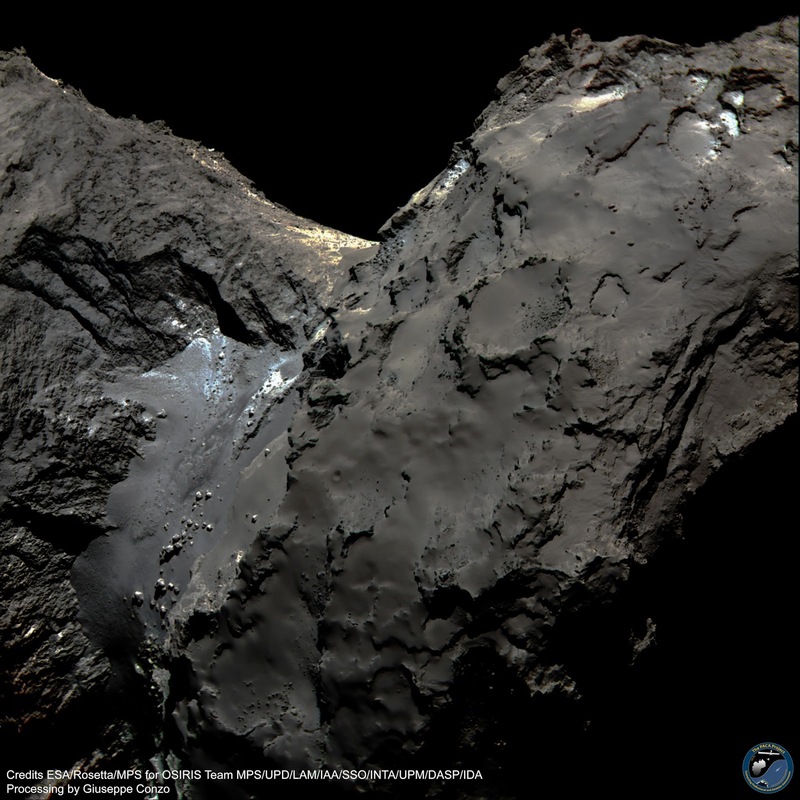 This creates the opportunity to explore a new comet in-depth. Where the CONDOR spacecraft would carry just two instruments (with its radio system for gravity studies an effective third instrument), the CORSAIR spacecraft would carry five instruments to measure the composition of the gases and dust released by the comet and to remotely image and study the surface (plus the radio system) for 10 months. Two samples from at least 10 cm below the surface would be collected using a harpoon system along with nine collections of dust gathered from the coma. The samples would not be kept refrigerated; instead, “any volatile ices that are collected are sublimated from the samples and chemically characterized before return” by the instruments on the spacecraft’s mass spectrometer instrument. There is reportedly a third comet sample return proposal led by Stephen Squyres who has also led the Mars Spirit and Opportunity rover missions. The Trojan asteroids share Jupiter’s orbit around the sun and are believed to have originated from a range of locations in the early solar system. For this reason, the scientific community has prioritized a mission to study several of these worlds and orbit at least one to learn about their origins and how they shifted position as the solar system formed. I have not found any information on New Frontiers proposals to study them. The selection of a simpler flyby mission, Lucy, last year to study these worlds may have led potential proposers to conclude that NASA is unlikely to select two Trojan missions back to back. For over a decade, the Cassini spacecraft has observed Saturn’s atmosphere to study its composition and weather. Although remote sensing is invaluable for studying and understanding a planet’s atmosphere, there are certain very key measurements that remote sensing spacecraft are not capable of providing. In particular, noble gases that carry the signature of the epoch, location, and conditions of planetary formation are undetectable from outside the atmosphere. So are the details of many atmospheric processes including the detailed thermal structure and stability of the atmosphere, the deep cloud structures, and the winds. The Saturn PRobe Interior and aTmosphere Explorer (SPRITE) mission would deliver a probe to Saturn’s atmosphere. As with the proposed Venus missions, scientists have many questions about Saturn’s formation and evolution that can only be answered by directly measuring the precise composition of its atmosphere with a descent probe. Among those questions are where in the early solar system Saturn formed and what role it played in the possible migration of the giant planets following their formation - first inward and then outward to their present locations. Measurements of the helium abundance could resolve a mystery of why Saturn is much warmer today than simple models of its evolution suggest it should be. A rain of helium deep in the deep atmosphere could be the explanation, in which case helium abundance should be depleted in the upper atmosphere where the probe can make its studies. For these measurements, the SPRITE probe, like the proposed VICI Venus probe, would carry both a mass spectrometer and a tunable laser spectrometer. Another set of questions for the SPRITE probe revolve around the meteorology of the upper atmosphere. During its approximately 90-minute descent, SPRITE would measure thermal structure: temperature vs. pressure, and the change in Saturn’s wind from the cloud tops to the deeper atmosphere. SPRITE would also determine the locations and compositions of Saturn’s different cloud decks. Together these measurements will extend Cassini’s remote measurements of Saturn’s meteorology below the level of the highest cloud tops. Prior to entry, a camera on the SPRITE carrier-relay spacecraft would remotely image the atmosphere – both near the probe entry point and globally - so that the probe’s measurements can be understood in their global context and connected back to prior missions equipped with only remote sensing instruments. Mission timeline for the proposed SPRITE mission to deliver a probe into the atmosphere of Saturn. Credit: SPRITE team/JPL/NASA. Saturn’s moons Enceladus and Titan have two proposed missions between them, although for one Enceladus mission, I have found only its name, Enceladus Life Signatures and Habitability (ELSAH). The proposers for the other mission, the Enceladus Life Finder (ELF), on the other hand, have provided considerable information their concept. The Cassini mission discovered that this moon is venting material from its internal ocean. Extensive studies of the plumes suggest that this world may have the conditions needed to host life. Cassini’s now-vintage 1990s era instruments, though, left key questions unanswered. Because the Cassini spacecraft performed extensive studies of Enceladus, the ELF spacecraft could focus its studies on what is perhaps the biggest question of all, is there life elsewhere in the universe? The ELF spacecraft would enter Saturn orbit and repeatedly fly through this moon’s plumes to determine whether its oceans have the conditions needed to be habitable and whether there are complex organic molecules suggesting pre-biotic chemistry or possibly life. The spacecraft would carry three mass spectrometers to study the composition of the gases and ice and dust particles in the plumes. The measurements from these instruments would be far more sensitive than their counterparts on the Cassini spacecraft allowing the mission to address subtle questions of habitability and life. A camera will also take what the mission’s principle investigator, Jonathan Lunine of Cornell University, says will be spectacular images. The ELF mission would make ten passes through the plumes of Enceladus to investigate that moon’s habitability and search for signs of life. Credit: ELF team/JPL/NASA. The two proposed Titan missions would have more wide-ranging goals than any of the other New Frontiers proposals. Both seek to explore Titan as a diverse world. The Oceanus mission would target the ocean world Titan first through a series of flybys and then from two years in orbit. The spacecraft would explore the creation of complex organic molecules by skimming through the upper atmosphere and measuring the composition using a mass spectrometer that has an order of magnitude greater sensitivity, mass resolution, and mass range than the one the Cassini spacecraft carries. The principle investigator for this proposal, Christophe Sotin with the Jet Propulsion Laboratory, wrote me, “What I find fascinating is that both early Earth and Titan have methane in the upper atmosphere. We have very little information about what happened on Earth as life was emerging. Observing Titan is a window to early Earth to understand what kind of organic chemistry happened there and whether it played a key role in the evolution of life 3.5 billion years ago.” These molecules high in the atmosphere that the Oceanus spacecraft would measure eventually drift to the surface to create organic-rich landscapes. The spacecraft also would use a camera that observes the surface through the hazy methane-rich atmosphere in three infrared bandwidths to map the distribution of the organics that fall to the surface to understand where they accumulate, how they are transported across the surface, and where they have been eroded. Scientists also would use the camera to map the variability of water ice exposed on the surface. 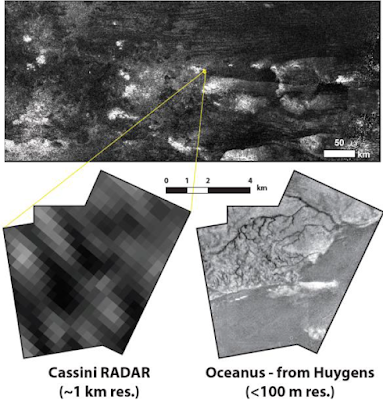 A radar instrument and gravity studies would be used together to understand the structure of the crust and deep interior including the characteristics of the salty water ocean that lies beneath the crust. The second proposed Titan mission may be the most audacious mission that I believe I have ever seen proposed. This moon’s thick atmosphere and low gravity make it the easiest location in the solar system in which to fly. Recent advances in robotic flight make it possible for a craft to autonomously fly and land without direct control. The proposers of the Dragonfly mission combine these two facts to propose a rotocraft that would repeatedly fly up to tens of kilometers between landing sites. Imagine if the Mars rovers had been able to study and sample locations along a traverse hundreds or thousands of kilometers long instead of the tens of kilometers they have been able to do. The Dragonfly mission would directly explore both the habitability of Titan and search for complex organic molecules that could help us understand how life can arise. It can also search for chemical signs of life on this moon. The Dragonfly science would be split between flight and landing. While flying, it would remotely study the surface below, sample the atmospheric composition, and profile the vertical structure of the air. The craft could not continuously fly – it needs to recharge batteries from a radioisotope generator during landings to store enough energy for the next flight. At each landing site, it would study the composition of the organics and ices using both a mass spectrometer and a neutron-activated gamma-ray spectrometer. Titan's day is 16 Earth-days long, so the operations timescale is relaxed and there's plenty of time to make measurements as well as recharging. Most of the time is spent on the ground, and in addition to the compositional measurements Dragonfly would use meteorological and seismic instruments to study Titan's atmosphere and interior. Wow! No where have I been able to find this long sought after info on the upcoming New Frontiers selection. I will admit, I have become an Ocean Worlds snob and simply feel we HAVE TO go to Enceladus, but have to admit we also need to go back to Venus. Dragonfly is the most exciting but can't help to feel it is too complicated for the next flight. Van, any chance they select NF4 and NF5 like they just did with Discovery missions? Even if they did, I could not see them selecting both Ocean Worlds proposals. Felt NASA made a big mistake in recently choosing similar Discovery missions! Hi Ken, good to hear from you again. I think it's very unlikely that two NF missions will be picked. That's just too much of a hit to NASA's budget. Picking two Discovery missions works because the flight rate is higher and mission costs lower -- by combining two selections at once, NASA avoids the costs and administration of a second competition and selection (and saves the proposing community the same). The only way I could see two picked might be if NASA selects a non-ocean worlds mission, and Culberson adds money to the budget. But he's already going to have to search high and low to get money to support the Europa Clipper and lander. Oh, and I'd like to see an ocean worlds mission, too. This is the last chance to have a mission arrive within my probable lifetime. For this current competition, NASA’s managers added two additional targets, ¿Titan’s? moons Enceladus and Titan. This certainly brings up the familiar situation of wanting to see more than one of these fly. I find myself leaning towards Venus, which has not drawn an American spacecraft (gravity assist flybys notwithstanding) in 28 years. In the 1963 Rose Bowl Parade, a float showed Mariner 2 flying by Venus. I think it would have shocked the crowds then to know that the U.S. will not have flown a mission to Venus' surface (one Pioneer Venus probe whose strictly atmospheric instruments kept working after landing notwithstanding) in the subsequent *sixty* years. But the motive here isn't just turf. As we begin to discover Earth-sized planets orbiting other stars, Venus gains importance as the only example of these that can be visited. Enceladus and Titan can't be ignored or downplayed – they are both enormously interesting and could certainly attract some superb missions. I wonder, in a hand-waving way, if our digestion of Cassini data is complete. The scientific community mulled over Europa, leading to at least one furious debate, for many, many years after Galileo, and I see Titan and Enceladus as no less complex. I'm sure that any mission planned now would produce rich payoffs, but it's more bang for the buck to let the scientific process run its course with Cassini results. I'm not sure that any Enceladus proposal makes more than an incremental boost on the wealth of Cassini data. Venus, on the other hand, is very much overdue, and we've had decades to make what we can of Magellan, etc. data. So at my distance from the details, I'm rooting for VICI or VISAGE. Failing that, we know Titan is a target rich environment. Comets, gas giants, and the Moon seem far less "overdue." I'm sure something exciting will transpire. Hi, Van, the Trojan Tour proposal was cancelled which explains why you're not hearing anything about it. There's a newer New Frontiers proposal called VOX for Venus Origins Explorer. Van, getting closer to the down selection of the next NF mission. Is there a date or a conference this announcement will be made? Sometimes they are released at a set meeting, other times they are just announced and simply curious.